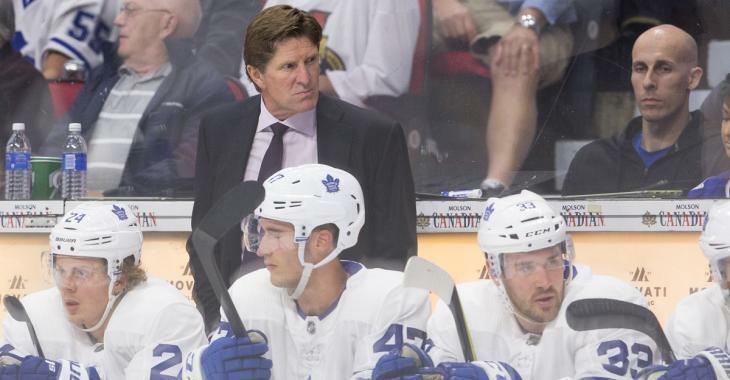 NHL News : Fans unhappy with Babcock after Maple Leafs line up is announced. Fans unhappy with Babcock after Maple Leafs line up is announced. Fans not happy with Babcock. The Toronto Maple Leafs fan base seems to be losing patience with head coach Mike Babcock. Toronto Maple Leafs reporter Jonas Siegel has just reported the official line up for the Toronto Maple Leafs' on Sunday night ahead of their match up against the New York Rangers and it seems to have rubbed some people the wrong. Notably it is the players that Mike Babcock has assigned to the fourth line that seem to have brought on the ire of the Maple Leafs faithful. The biggest issue of contention here seems to be the continued misuse of talented forward Andreas Johnsson who has really been outshining even Toronto's top stars as of late. As you can see by the line up listed above Johnsson is once again being injected into the line up as a fourth line player and additionally is not being used on the side of the ice that should be the most natural to him. The former 7th round pick (202nd overall) in the 2013 NHL Draft really does have the makings of what might be the greatest player to ever be drafted in the 7th round of an NHL draft and through 48 games with the Leafs this season he has accumulated 14 goals and 14 assists for a total of 28 points and boasts a very impressive plus minus rating of +19 on the season. You would expect a guy who has shown that much promise to get a bigger role on the team than the one he currently occupies and it is unclear if head coach Mike Babcock is unable or unwilling to loosen the leash on Johnsson a little in order to give him a chance to truly shine. The 24 year old Swedish born forward has quickly become a fan favorite due to his ability to produce while being given limited opportunity and you can see fans turning on some of the team's more establish players as Babcock continues to favor them over Johnsson. Following the announcement of tonight's line up there have been several calls for veteran Patrick Marleau to be bumped down from the top line, but I'm, not sure how realistic that is at this time given that Babcock seems to heavily favor Marleau.